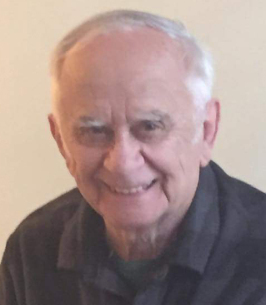 Obituary for James Cannella Jr.
James Cannella Jr., of Wallington, entered eternal life on April 3rd, 2018, he was 79. James was born in Passaic on July 16th, 1938 to James and Anna (Smalz) Cannella. The family moved to Wallington over 76 years ago. On May 7th, 1966 James married his beloved wife Susan Pivko. Prior to his retirement James had worked for Bergen County, and for over 25 years worked as a Chief Bridge Operator. Since retiring, James has taken much pride and devotion in being the primary caregiver for his beloved wife Susan of nearly 52 years. He also enjoyed taking walks and talking to those he encountered along his route. James is also survived by his daughters Christina Cannella, Dawn Cannella, Cindy and her husband Lance Taylor, three grandchildren Courtney, Faith and Brittney; and is survived by his dear brothers Frank and Andrew. Visiting 2-4 & 7-9 pm, Monday, April 9th, Warner-Wozniak Funeral Service, 80 Midland Ave, Wallington. Family and friends are invited to take part in a service at 8:30 pm. A private cremation will follow on Monday. To send flowers to the family of James Cannella Jr., please visit our Heartfelt Sympathies Store.